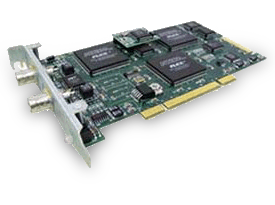 GET Engineering’s family of PCIe NTDS Interface Adapters provide the user with a full‑Duplex NTDS interface between an NTDS Computer or Peripheral equipment channel and PCIe bus systems. The interface adapters for NTDS Parallel and Serial systems are software configurable to operate in all NTDS environments. Our proprietary Common User Interface API allows the programmer to write interchangeable application software which can be used in either parallel or serial systems. GET Engineering’s family of PCI NTDS Interface Adapters provide the user with a full‑Duplex NTDSinterface between an NTDS Computer or Peripheral equipment channel and PCI bus systems. The interface adapters for NTDS Parallel and Serial systems are software configurable to operate in all NTDSenvironments. Our proprietary Common Driver Design API allows the programmer to write interchangeable application software which can be used in either parallel or serial systems. .
Systems requiring ruggedized, conduction cooled PCI Mezzanine Card (PMC) interface adapters benefit from the extensive knowledge and deep experience in tactical data interfaces provided by GETEngineering. Our ultra‑reliable adapters are fully compliant to MIL‑STD‑1397 Revision C, TADIL‑A, and STANAG standards. Front and rear I/O options are available for both parallel and serial interfaces. The software included with these adapters provides the user with an operating system independent APIenabling simplified porting of application code between operation system targets. GET PC/104+ adapters provide new levels of reliability and performance for interfacing to the MIL‑STD‑1397C. This interface adapter is ideal for PC/104+ embedded designs requiring high performance, fast processing, and low power dissipation. By utilizing and stocking key components in‑house, GET can also ensure long product availability to our customers. GET has a wide selection of software drivers that come standard with the PC/104+ adapter. Industrial computing solutions requiring CompactPCI (cPCI) connectivity standards for NTDS Tactical Data applications can rely on GET Engineering’s family of cPCI adapters. These adapters take advantage of the ruggedness of the cPCI passive backplane architecture to reliably transact NTDS data. Ease of insertion and extraction is provided by a durable latching mechanism integrated into the front panel design. The NTDS interface and other operational parameters are completely software configurable through our proprietary Common User Interface (CUI) driver. 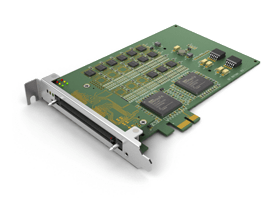 GET’s VME Interface Adapters offer the highest levels of performance and flexibility available on any NTDSVME board in the market. 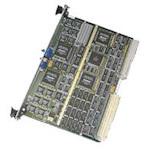 GET offers VME serial boards in NTDS Type D or E. Parallel versions include multiple configuration options including rear I/O, front and rear I/O, and Dual Tap. A 4MB Dual Ported RAMallows data buffers to remain onboard and not utilize VME bandwidth. Our onboard 68K processor gives users the ability to create a system emulator. GET VME boards not only include complimentary drivers for most operating systems, but come standard with free firmware and software upgrades. GET continues to support legacy systems by offering interface adapters conforming to the ISA bus standard for IBM PC compatible computing systems. Parallel and serial models support MIL‑STD‑1397C implementations and provide true full duplex operation enabling the application programmer to emulate many NTDS devices. Users of MIL‑STD‑1397 wishing to connect tactical data over long distances can rely on GET Engineering’s class of fiber optic converters. These converters provide a fully compliant interface from existing legacy military computing equipment to state‑of‑the‑art fiber optic media to enable legacy systems modernization.